What can investors expect from global stock markets - and fixed income and alternative investments – over the next 12 months? Read our special report to find out. Yields in several key government bond markets have risen over the course of the last year, pushed higher by rising US inflation expectations and the unwinding of the US Federal Reserve’s stimulus program that has been in place since the Global Financial Crisis. This peaked in late Q3 2018 with the yield on the US 10-year bond soaring past the 3% mark, sharply refocusing investor attention on interest-rate sensitive assets. More recently, slumping equity markets and concerns around global growth have dampened investor confidence. With it, interest rate expectations have fallen. Indeed, the yield on US 10-year bonds now stand at around 2.8%, well below the peaks seen less than three months ago. Of particular concern to investors, yields on three-year bonds are now above yields on five-year bonds, which historically has indicated the increasing risk of recession. While this is difficult to predict, we note that the US, European, UK and even the Japanese Central Banks look to be on the path to more normal monetary policy, to varying degrees, with the US most advanced in this regard, and Japan the least. With this, a significant tailwind for bond markets in recent years appears to be moving toward a headwind, further raising the risk of a policy misstep should we encounter more challenging economic conditions. More importantly, through a valuation lens, government bonds in the UK, Europe and Japan remain significantly overvalued. US government bonds, while offering better relative value, still look expensive in a historical context. This view comes from investors being forced to accept lower yields on bonds that have a longer time to maturity than what they may have in the past. This is a poor trade-off, as this reduces future income whilst also increasing the risk of capital loss should bond yields rise towards their longer-term fair value. As such, with forecast benchmark returns looking unattractive, investors in this this asset class will need to adopt a flexible and disciplined approach, identifying those bonds that offer value while managing fixed interest levers like credit spreads and bond duration, sensitivity to interest rate movements, to reduce the risk of a permanent loss of capital. Investment-grade credit markets in the US, UK and Europe are expensive in absolute terms, with their coupons not adequate compensation for the risk of material capital losses that may come about from changes to interest rates, inflation expectations, the default cycle and ultimately rising credit spreads. While credit spreads in the US, the largest corporate bond market globally, appear acceptable compared to government bonds, this ignores that the quality of this asset class has deteriorated with a significant proportion of this index now classified ‘BBB’, which is the lowest credit rating a bond can have while remaining investment grade. As such, adverse circumstances could, at the very least, trigger a wave of credit downgrades to high-yield status which may lead to disorderly selling in this asset class. With this, and the asset class being particularly sensitive to rising interest rates courtesy of its long maturity profile, we continue to pursue superior reward for risk opportunities in other parts of the bond universe. Notwithstanding a slight improvement in yields and credit spreads in recent months, the asset class remains generally unattractive. The falling oil price is influencing outcomes in this space, yet the risk of capital loss remains should we go through a credit crisis whereby credit effectively dries up i.e. it becomes harder and more expensive to find investors willing to lend to these lower-quality businesses. This would increase the risk of default as these companies can no longer fund their ongoing operations. Rising US interest rates, a stronger US dollar, the increasing threat of trade wars and economic uncertainty in Argentina and Turkey has seen yields on emerging market bonds increase in recent months. With this, the asset class is now more attractive in both an absolute and relative sense, and increasingly offers a superior reward for risk, compared to most developed world peers. This improvement in valuation has been most pronounced for emerging market bonds issued in hard currency US dollars, although both hard currency and local currency, where the bonds are issued in the currency of the emerging market nation, are rated as a “Medium” conviction opportunity. With inflation-linked bonds, the value of the principal rises, or falls, with changes in inflation expectations. Over the course of 2018, inflation expectations, especially in the U.S, have increased as the Fed moves further down path to a more ‘normal’ monetary policy environment and Trump’s policies are expected to boost inflation. Nonetheless, inflation expectations remain below long-term normal levels. The still benign inflation expectations currently witnessed around the world means inflation-linked bond valuations offer a reasonable longer-term opportunity to add historically cheap inflation protection to portfolios. 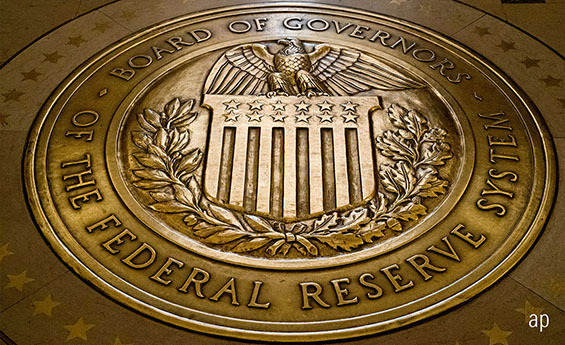 What Can Investors Expect from the Fed in the Future?